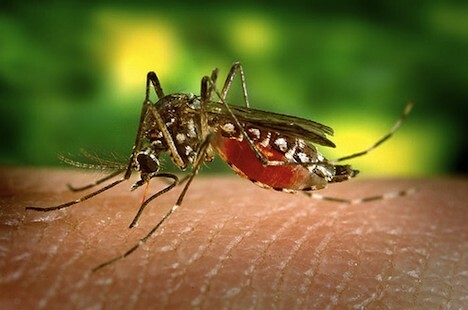 In an effort to curb the growing population of disease-carrying mosquitoes, some U.K. researchers have genetically modified certain mosquitoes with a lethal gene that will kill their offspring before they reach adulthood, preventing them from biting humans. These mosquitoes have already been released into the wild, so there’s no turning back if something goes awry. The “yellow fever mosquito” is the breed in the sights of researchers. Females are prone to carrying dengue fever, yellow fever and various other diseases. These pose threats in many parts of the world, particularly in developing countries. Females are more likely to feed on blood to help with egg production, while male yellow fever mosquitoes usually stick to plants. These factors tie into the fact that only males are being released with this gene, preventing females from feasting on blood and passing it on to other species. The genetically modified mosquitoes are grown in a lab, and once released, only have a short period of time to mate before the deadly gene kills them. Back in 2009, genetically modified mosquitoes were released in Grand Cayman Island south of the Florida Keys, and last Sunday, a study was released analyzing the effectiveness of the initiative. 19,000 deadly mosquitoes were used, accounting for 16% of the overall male population. The gene was found in nearly 10% of larvae, figuring the lab-created males were about half as successful in mating as wild males. This might sound small, but the study claims this rate is still sufficient enough to suppress the population. A larger trial was also done on Grand Cayman in 2010, reducing the population by 80% for three months. While this might sound like an extreme way to curb the mosquito population, supporters say this is still less ecologically dangerous than common pesticides. Of course there is one big worry, that these mosquitoes could produce a modified disease too intense to combat. As with genetically modified food, it’s sure to become a controversial debate. Do you think this is a smart way to reduce the risk of deadly diseases among humans, or should we leave them alone and leave it up to nature? Previous post: 7 Billionth Person Born On Earth – What Does This Mean For Our Future?